I like to know where I am, what I’m doing, what I’m supposed to be working on, and how long it’ll take – maybe what it’ll take to get there. Driving out to western North Carolina, we took our time, Iman and Carter and me. We drove by exit signs announcing little towns, miles or so off the interstate. I wondered, as I often do, what it’d be like to live there, what it’d feel like to start over, maybe slow down. Then I remembered that I’ve already stepped off the urban grid – I left a metropolitan lifestyle so many years ago that I can’t call myself a “Chicagoan” any longer. Carter herself only knows that city as the place where her grandparents and uncle, aunt and cousin live. I suppose I should say “I don’t like to get lost,” but I’ve never really been lost, not that I can remember. Maybe that’s my own selective memory. Hiking in mountains I’ve never been, following trails that seem to make some sense on a map, well, this is about as close as I’ll get to getting lost. 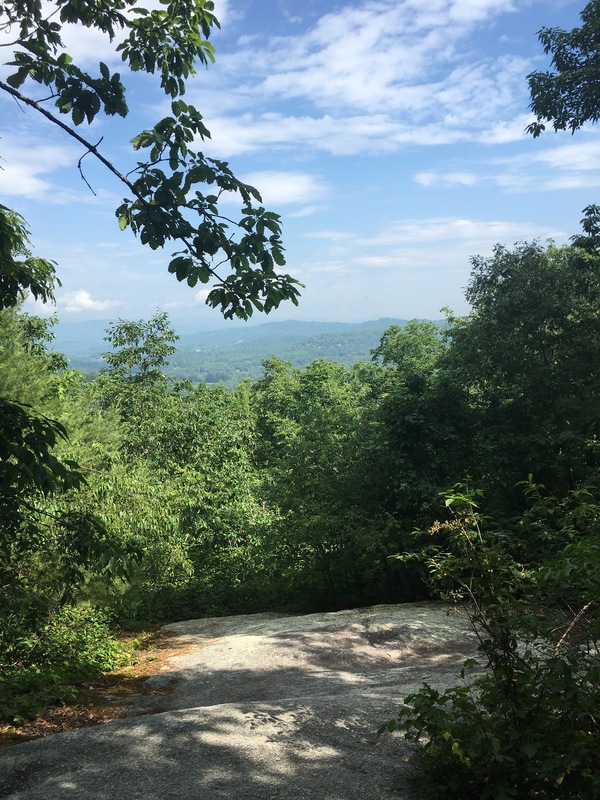 There’s something freeing in walking, wondering, looking around, not exactly knowing where I’m going (and, yes, for safety’s sake, knowing that Kanuga is only down the other side of this mountain, somewhere down there). The trail goes up and turns, off in a direction I can’t see. So I follow it, and go. It bends down along a dried riverbank. I follow it. I’ve gotten lost plenty of times, too, and even found other trails that loop back to more familar terrain. The Psalmist begins his question, “From where is my help to come?” with the statement, maybe the literal posture: “I lift up my eyes to the hills…” (Psalm 121, Levavi oculos) The question could’ve been one of doubt, confusion, fear, anger. Maybe it was, at first, and for any number of good reasons. “From where is my help to come?” I’ve probably asked, wondered, puzzled this question – or some such like it – in my head countless times. But the question’s changed when, at first, “I lift up my eyes to the hills…” It doesn’t go away, that initial question. Nor is it solved. Nor am I entirely certain of where I am, what I’m doing, what I’m supposed to be working on, and how long it’ll take – maybe what it’ll take to get there. Because it’s not really about the direction of the particular trail – which, to me, is good news, given the amount of times I’ve gotten lost up here. Time and again, the trail goes up and turns, off in a direction I can’t see. I follow it, or at least try to. It bends down along a dried riverbank. I follow it. Or I think I’m following it. Whatever I’m doing, I’m going somewhere. But that’s not the same as “the life that truly is life,” as Paul writes to Timothy (1 Tim. 6:19). Following a map or a path or a compass heading isn’t the best metaphor for that kind of life. 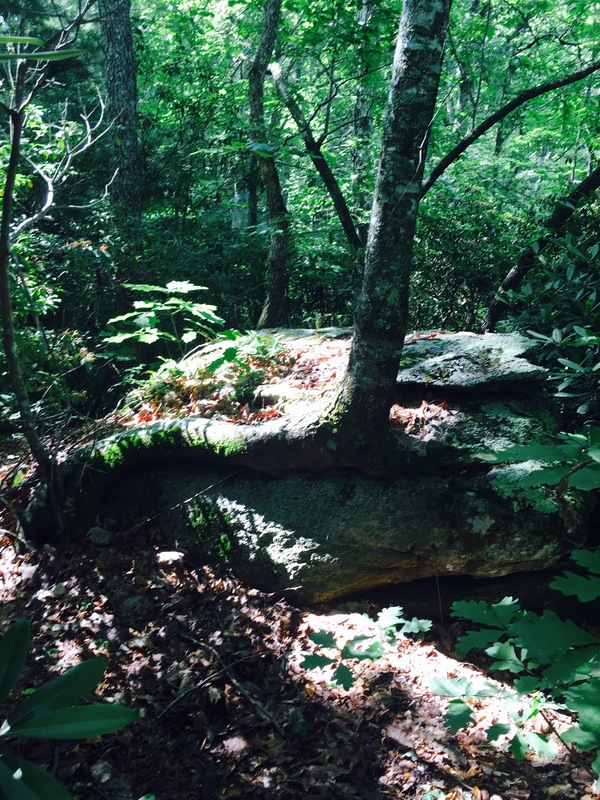 For a relationship with the Lord – literally “the maker of heaven and earth” – is a deep, a fixed, a rooted thing, not so subject to whims and wishes, twists of the trail or bends further out, at least not in God’s part. That’s precisely the mystery. That’s why the Psalmist echoes such stationary tones in what seems to be a traveling poem. For the Lord will “not let my foot be moved,” watches over my “going out and my coming in,” preserving me from all evil, keeping me safe. Where am I going, then? I’m going lots of places, and it’ll continue to be an exciting journey. But perhaps life in Christ is not so much a new destination, but simply the freedom to wander far because I’ve already been found. What is Corpus Christi? Does our church do it? At last night’s meeting of St. George’s Buildings & Grounds Committee, the members were discussing and making plans for the upcoming renovation of the sacristy. The sacristy is pretty much a large storage area and closet and vesting room, used in preparation for worship. Most of the conversation, then, focused on counter-tops and cabinets and solutions to storage issues. “When we do this, I’d like to add a piscina,” one member of the Committee – herself a member of the altar guild – spoke up. “What’s a piscina?” others asked. A piscina, they were told, is a drain used to return water and any other liquids that might be consecrated and/or involved in cleaning consecrated items directly to the ground. Once consecrated, or once mixing with consecrated substances, that item is not longer just a thing; it’s substance is also changed, made different, made into Christ’s real and living presence. And thus, last night, our church’s Buildings & Grounds Committee learned a little bit about our church’s understanding of what’s going on on the altar: what we mean when we talk about real presence. Today in the life of the church is the Feast of Corpus Christi. The Thursday after Trinity Sunday, the eighth Thursday following Easter is technically known in the Latin church as Corpus et Sanguis Christi – the feast of the Body and Blood of Christ. Not just a town in Texas, Corpus Christi is a venerable and relatively old Christian celebration, and a kind of counterpart to Maundy Thursday, now nine weeks ago. Maundy Thurdsay, that is, Thursday during Holy Week, that is, the Thursday before Easter, however, is a complicated and busy liturgical day. The liturgies for Maundy Thursday remember Jesus washing his disciples feet (found in John’s gospel, which, interestingly, doesn’t have a last supper) as well as the institution of the Holy Eucharist on that night. Congregations such as St. George’s, Valley Lee have some form of a community meal that night, as well, followed often by a night-long vigil at the altar of repose. In all, Maundy Thursday is about a lot of things, and one consequence is that the Holy Eucharist tends to recede into the background. What Jesus actually did on that last night in that upper room was a really fascinating thing, we believe. Not just the Last Supper, the Holy Eucharist is a profound gift wherein Jesus promised to always be among them “in scripture and in the breaking of the bread,” as we pray in a Collect, and he promises, literally, to show up in the present tense every time we, ourselves, break bread. The word remember in the statement “…do this in remembrance of me” is actually the Greek term anamnesis which is far more than a memorial or history lesson but, in fact, means something like ‘to make actually present again.’ That is, when God’s people in prayer remember (anamnesis) Jesus, Christ literally shows up again, and changes our substance and the substance of our assembly, including what was, previously, just bread, just wine. Didn’t get that lesson at Maundy Thursday or during Holy Week? Obviously. You’re not alone if this never really occurred to you, and you are joined in this by a thirteenth century Augustinian religious woman named Juliana of Liege. Born in the 1190s in Liege, Belgium, Juliana de Cornillon developed a fascination with the Holy Eucharist. It was bound to happen, anyway, because Liege and much of northern Europe in the thirteenth century had a number of confraternities of the Blessed Sacrament, groups of persons who devoted themselves to adoration and benediction of the Holy Eucharist and, in many cases, had organized continuous prayers and vigils for its efficacy and power. Juliana was orphaned at the age of five and together with her sister, Agnes, they lived in the convent of Mont-Cornillon. Visions came to her, she reported; the first in 1208 instructed her “to plead for the institution of the feast of Corpus Christi.” One particularly powerful vision was, for her, “the appearance of the full moon having one dark spot, which signified the absence of such a solemnity.” Juliana kept the visions secret but eventually confided in her spiritual director who, breaking all modern understandings of confidentiality (! ), told the bishop. In 1246, Robert de Thorete, Bishop of Liege, ordered the celebration of Corpus Christi on the Thursday after Trinity Sunday, and declared that it should continue on that day and in that fashion ever since. This was only in south of Belgium, in the region of Liege, however. By 1251, Hugh of St.-Cher, a Cardinal, brought the celebration to his judicatory in Germany. And in 1264, Pope Urban IV – who as a young archdeacon named Jacques Pantaleon of Troyes served in Liege and experienced this growing feast – composed the papal bull, Transiturus de hoc mundo, and thus instituted the Solemnity of Corpus Christi to be celebrated the Thursday after Trinity Sunday. Apparently, Urban IV’s successors didn’t much care for this feast, and so it fell into obsolescence until it was re-introduced in 1311 by Pope Clement V at the Council of Vienne. Corpus Christi is a day set apart to honor and celebrate nothing more, nothing less than the mystery that is the Holy Eucharist. Many churches and, even today, many communities feature outdoor processions in which the Blessed Sacrament is placed in a monstrance and carried under a tent throughout the neighborhood. These are honorable celebrations, and yet it would make just as much sense, for me, to actually go out there and celebrate the Holy Eucharist in a public place. Perhaps Corpus Christi could become the lively (and theologically better!) counterpart to Ashes to Go – going out into our communities and neighborhoods, shopping centers and street corners and doing nothing more, nothing less than celebrating Holy Eucharist, making Christ really and truly present. And yet it should be noted that there is unsteady Anglican precedent for the observance of this celebration, perhaps the very reason it is not found in our Book of Common Prayer. The Church of England does list it as an optional celebration, and Anglo-Catholics in our tradition carry on this feast with special solemnity and, to me, a genuine and exciting missional attitude to their neighborhoods. 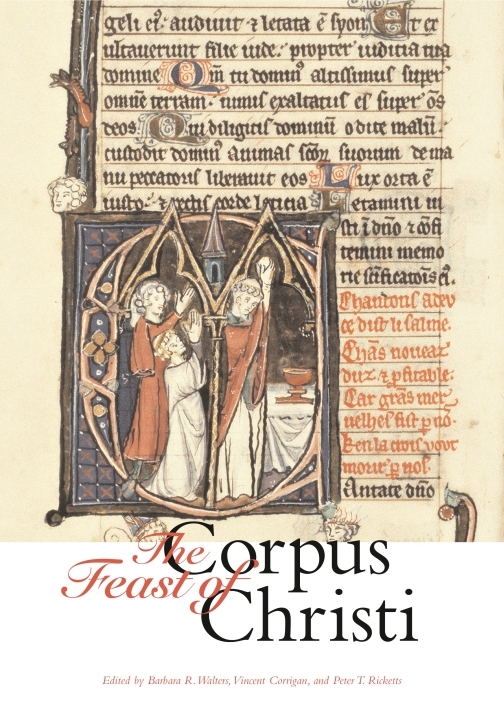 The theological, missional thrust underlying Corpus Christi is perhaps best expressed in the poetry and musical compositions of Thomas Aquinas. Personally, I love the fact that St. Thomas – who comes down to us in the academic tradition as the author, literally, of theological tomes and treatises and is regarded as one of the brightest lights of the scholastic period – was also, himself, a poet and a musician. Pope Urban IV, in fact, commissioned St. Thomas to compose the pieces for a mass setting as well as vespers for Corpus Christi. Thomas apparently did so during his residency at Orvieto from 1259 to 1265. One such poem/hymn is Pange lingua (literally: “Sing my tongue…”), and it’s hymn number 165 in The Episcopal Church’s Hymnal 1982. We sing it every Maundy Thursday at St. George’s, Valley Lee, during the time in which the altar is being stripped and the people are invited to remain for vigil all night. This congregation jokes with me, calling it “the dirge,” and the tune certainly sounds that way, although the text is rich, lasting, wonderful. Make these words, then, your prayer on this Feast of Corpus Christi. And grant that, in so doing, you will not just receive, and certainly not ‘gaze upon,’ the bread and wine, the Body and Blood, but rather become what you receive: the Body of Christ. Sing, my tongue, the glorious battle; of the mighty conflict sing; tell the triumph of the victim, to his cross thy tribute bring. Jesus Christ, the world’s Redeemer from that cross now reigns as King. Thirty years among us dwelling, his appointed time fulfilled, born for this, he meets his passion, this the Savior freely willed: on the cross the Lamb is lifted, where his precious blood is spilled. He endures the nails, the spitting, vinegar, and spear, and reed; from that holy body broken blood and water forth proceed: earth, and stars, and sky, and ocean, by that flood from stain are freed. Faithful cross! above all other, one and only noble tree! None in foliage, none in blossom, none in fruit thy peer may be: sweetest wood and sweetest iron! 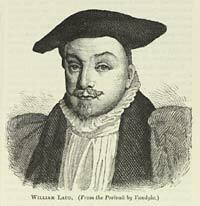 sweetest weight is hung on thee. Bend thy boughs, O tree of glory! Thy relaxing sinews bend; for awhile the ancient rigor that thy birth bestowed, suspend; and the King of heavenly beauty gently on thine arms extend. Praise and honor to the Father, praise and honor to the Son praise and honor to the Spirit, ever Three and ever One: one in might and one in glory while eternal ages run. Rami Elhanan is an Israeli who grew up in Jerusalem. While serving in the army, during one battle in the Arab-Israeli War of 1973, his unit set out with 11 tanks and returned with only 3. He lost friends and, even worse, lost his innocence. He was broken, angry, bitter – and filled with hatred. In time, he got married, started a career and a family. On the evening of Yom Kippur 1983, he held in his hands his beautiful baby daughter, Smadar. But on the afternoon of September 4, 1997, Smadar was killed by two Palestinian suicide bombers who took the lives of five innocent people in browing the shelves in a Jerusalem bookstore — one of them Rami’s beautiful 14 year old daughter. Bassam Aramin grew up in the West Bank city of Hebron. At the age of 12, Bassam saw one of his friends fatally shot by an Israeli soldier. For him, revenge was a palpable, dark force. He joined a group who called themselves freedom fighters, but those in power called them terrorists. They threw stones, at first, and empty bottles but one day in 1985 he found several discarded hand-grenades in a cave. With his friends, they threw them at Israeli jeeps. Two went off; no one was injured. Bassam was sentenced to seven years in prison. After his release, Bassam began to build a life for himself, which included a family. Sadly, however, on January 16, 2007, Bassam’s 10-year-old daughter, Abir, was shot in the head with a rubber bullet by an Israel soldier. She was standing outside her school. She died two days later. Following such unspeakable tragedy, both men chose to do remarkable things. Both men chose to stop the strife and warfare and anger and bitterness. Both chose peace. For Rami, Smadar’s death brought back his old, unprocessed anger. But he couldn’t stir up enough even to reignite revenge. A group called the ‘Parent’s Circle’ invited him to a session. ‘Parent’s Circle’ brings together families who’ve lost children and loved ones in the conflict and yet still want peace. From that session on, Rami’s world, he says, was turned upside down. Those whom he once hated embraced him and loved him. Former enemies were the source of his greatest consolation. We don’t do so very well in resolving conflict and finding peace with our enemies. Even our best attempts fall flat. Oscar Wilde famously instructed: “Always forgive your enemies – nothing annoys them so much.” Godfather Michael Corleone gave what is, to many, sound advice: “Keep your friends close, and your enemies even closer.” Abraham Lincoln once offered a poignant line about making friends out of enemies but it, still, carries notes and scars of battle: “I destroy my enemies when I make them my friends,” Lincoln remarked. Even when we try to make nice, we are often our own worst enemy. That’s why Rami’s and Bassam’s stories are so unique. It didn’t take decades and increasing maturity. It didn’t require the passing of years to realize that what once tore apart their souls with bitterness and revenge is now just water under the bridge. Within moments – moments not years – of unspeakable tragedy, they responded with peace, dialogue, empathy and understanding. Immediately: peace. That’s what’s truly remarkable about the earliest Christian movement, as well. In Acts chapter 10, there’s a famous story about Peter and a Gentile named Cornelius. God tells Cornelius his prayers have been heard and that he should send for Peter, who’s staying in Joppa, a nearby village. In Joppa, meanwhile, God presents a rather strange vision to Peter – a large sheet comes down from the sky with all kinds of animals. In the vision, a voice says “Get up, Peter. Kill and eat.” But Peter’s a good law-abiding Jew. Understandably, he says, “By no means, Lord! I’ve never eaten anything profane in all my life.” “What God has made clean,” the voice says, “you must not call profane.” Peter comes to just as a knock comes on the door. It’s the men whom Cornelius sent. Peter goes with them to Cornelius, they have a wonderful heart-to-heart and the Holy Spirit immediately descends upon the room. Peter feels it and baptizes the whole household, right then and there. What happened in that moment for Peter and Cornelius, like that which followed Rami’s and Bassam’s tragic losses, was immediate. No study period, no checking with the elders, no consulting scripture or thinking about what’s been done before. God swept in and peace happened. And it happened immediately. But that’s not exactly our situation. Flip to Acts chapter 11 and you see the after-effects, the angry backlash. The leaders of the Christian movement – a still Jewish movement – heard that a Gentile was baptized without first having to become circumcised. They’re angry. They call Peter to headquarters. There, he tells the whole story: the sheet, the animals, the voice, the trip to Caesarea, the presence of the Holy Spirit. What else could I do? Peter says. It was so very clear, so very immediate, and I responded. Like Peter, we don’t live in communities which quickly and altogether respond to immediacy of any kind, let alone an immediate turn from revenge to love, from being enemies to friends, from separation to unity. In fact, I learned of the story of Rami Elhanan and Bassam Aramin from a 2012 documentary entitled, Within the Eye of the Storm. It tells the story I told you, about their lives and the processes they both undertook to find peace. They became friends. But the film is also about the experience of introducing one another to their communities – communities which were not prepared and did not necessarily, automatically, immediately respond with the same kind of love and forgiveness and peace. Imagine it. An Israeli sitting with Arabs who quite literally – and, you might say, for good reason – hated him simply because of who he was. An Arab sitting with Israelis who literally and, again, you might say, for good reason, saw him as a terrorist. Forgiveness doesn’t come easily in this world. Peace is not won swiftly. None of this is ever immediate. The world in which we live is not geared towards wholeness and healing; it’s not designed for love and forgiveness. 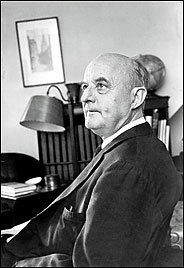 American theologian Reinhold Neibuhr outlined in his now-classic 1932 book, Moral Man and Immoral Society, what’s called “Christian realism.” Power and positioning and pride lurks everywhere in this world, at least this side of heaven, Neibuhr argued: sin is at the bedrock of the foundation of this world. That’s why even our attempts to play nice sometimes turn out so rotten. Being a person of faith, in general, and a Chrisian, specifically, involves the hard work of scrutinizing that which comes from within. It may be of God; Jesus said the kingdom is near you. It may not be of God. Israelis and Palestinians are trained to hate. That’s their base reaction. A good law-abiding Jew like Peter was formed to avoid, at least, and by no means accept a Gentile like Cornelius. That’s Peter’s gut reaction, in spite of the fact that he lived with Jesus all those years. Even the apostles and elders of the Christian movement had a resistant gut reaction, a frankly reactive, bitter resistance. What kind of person do you dislike, and for what reason? What do you abhor and on what scriptural or political reasons do you base your opinion? In it may be God, and it may very well be not of God. It’s a certain truth that when God shows up he keeps shattering the boxes we make, blurring the lines we draw. But when we take the risk to love and live as God so clearly does, the world says you’re unrealistic, naïve, and at the very least that you’ve gone about it all too immediately. We need not see what others do. Rami and Bassam, early in their lives, did what others did and they paid for it. In time, they chose to live differently. When tragedy struck, again, they did not wait to see what others did. Peter didn’t wait to see what others did, either. And that community, the church, which called him to task – they, too, were a little bit odd, a little bit strange, a whole lot spontaneous. The moment in that room was hardly silent after Peter recounted his story, for the Holy Spirit was moving and sweeping in her delightfully spunky and, you might say, radically upsetting way. Immediately, they praised the God who shattered their prejudices and destroyed their small-mindedness. Immediately, they rejoiced that theirs was a kingdom not of this world. Immediately, they did a bold thing and were given the grace of God to do it with courage. They may have looked back, they may have been afraid, but immediately they were also transformed. An Episcopal nun once told me about the time she served at St. Paul’s Chapel in lower Manhattan in the aftermath of September 11, 2001. St. Paul’s is across the street from the World Trade Center, and they opened their doors during those weeks following as a place of refuge, rest, and prayer. One thing that stood out, for her, was that she learned “to pray while on my feet,” she told me once. That’s an odd thing for a religious, for their day is structured by the ringing of a bell that calls them to pray the Offices, at which they are to drop whatever they are doing and get on their way to chapel. They pray in chapel multiple times throughout the course of each day, and they pray on their feet (singing and praising), on their knees (confessing), on their seats (hearing). But not in motion; not while tending the sick, offering words to a bereaved, hugging a first responder, extending water to one who is thirsty and covered in soot. This may sound odd to us, for we are people of the world. We are busy people who lead demanding lives and are very important individuals, if you ask us. Even when we’re not busy, our minds are. We’re thinking ahead about all the other things we must be doing and should be doing and will be, just as soon as we can get going and get busy. No, we don’t pray so very well, not all of us, anyway. We don’t pray our way through our day and bells don’t interrupt our schedules. No, we’re not so good about praying our days, but leave that to the monks and nuns. Watch what Jesus does. After he’s sent his disciples out, they return and tell him about the healings and words they’ve spoken, about the lives they’ve touched. He says, “Now let’s get away, just you and me, by ourselves for a while. I know just the place; it’s entirely deserted. Get a boat, and let’s go.” Jesus hops in the boat with the twelve. But the locals – being watermen, themselves – know the winds and see the boat tacking and know precisely where it’s headed. At once, the Galilean grapevine kicks into high gear, such that by the time Jesus gets to that quiet, serene place it’s not at all deserted; in fact, it’s packed with thousands of people, all clamoring for his attention and power. Watch what Jesus does or, rather, what he does not do. He doesn’t get back in the boat, doesn’t leave the people and stick stubbornly with his intended retreat plans. We wouldn’t blame him if he did, but he doesn’t. Instead, he ministers to the people gathered, responds to their needs, heals the lame and sick, and extends the Kingdom into their very midst. Jesus responds in this way because this is the nature of God. It is God’s nature to receive all of God’s creation, especially all of our humanity in its depth and breadth and dysfunction and sickness. It is God’s nature to receive so that it may be redeemed, loved into still greater holiness. It is not God’s nature to reject or ignore. No, start from this other premise: God is. God is … in the fullness of all that is, whether it be good or bad, peaceful or chaotic, deserted and calm or packed and noisy, loss or gain, death or life. God is. God receives all that is and gives freely, vulnerably; hence the reason Jesus receives the throngs when he steps on Gennesaret’s shore, and gives them new life; hence the reason a religious gives of herself and her once-sacred hours of prayer, and gives even small tastes of genuine compassion to a broken world. And yet we only scratch at the surface of this truth, for even our deeply religious sometimes have difficulty finding God in the dust and grime and pain and evil of September 11th, rather would they be in their chapel with their prescribed liturgies. For many people, God is best kept in a box or, at least, a container smaller than that labeled “the whole and fullness of our lives.” Many of us are so quick to show God and one another the parts of our lives we like, are pleased with, consider successful and well-off, and find happiness in. Few of us are able to show our warts and the stains of sin, not only to God and one another but, I’ll say personally, even to ourselves. God wants the fullness of our lives, and wants to be found in the wholeness of it all – not just the quiet moments of prescribed, liturgical prayer but the busy-ness and disquietude, the anxiety and the dread. God wants all of it because all of it is redeemable, and none of it is foreign to Him. A slogan of the ancient Christian church, first attributed to the fifth century writer, Prosper of Aquitaine, became much in vogue in the liturgical renewal movement of the 20th century. Lex orandi, lex credendi translates from the Latin to mean something like “the law of praying is the law of believing.” Or in more common parlance: the way we pray is the way we believe. Ask an Episcopalian what she believes, and she’ll talk about the Book of Common Prayer, which is designed to have us pray the whole of our lives. Even those things that happen in life, as things inevitably do, which are not already covered in the index of the Prayer Book, we can learn to pray well, having trained ourselves in this school called ‘church’ faithfully and regularly beforehand. When we talk about grounding our church in prayer, we are talking about a community of women and men who are willing to pray their lives, or what the Apostle Paul called praying “without ceasing.” Sometimes that prayer takes the form of words and expressions, beautiful, measured, time-crafted language that resonates with the sound of churchy-ness. At still other times, that prayer is nothing more than a breath, a deep breath; or a frustration, echoed in God’s direction; or quietness, nice but not a prerequisite; or stillness in your heart while you dash about in the marketplace of the world. Praying our lives requires the fullness of our lives because God wants it all redeemed, and wants to be found amidst it all, in the first place. I say these things because I believe they deeply matter, not just theologically but also how we live, and how we live wholly and well. Honestly, I fear those Christian traditions which emphasize perfection over reality, which stress rules before relationships, which talk about who we should be before coming to understand who we are. 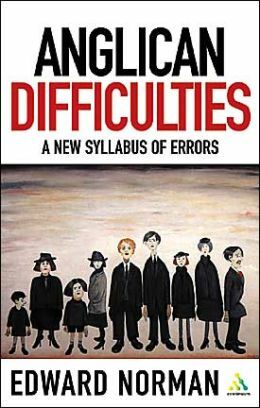 Having been raised with such messages, I find that those traditions (in many cases implicitly) teach people to present only those sides of themselves that are well-rounded, worked on, and nearing perfection, leaving a lot of in the dark shadows, leaving a lot of it there permanently and festering. Darkness is darkness, obviously; it’s the stuff that’s not yet redeemed. But that’s not to say it’s unredeemable. “Darkness is not dark to you, O Lord,” the Psalmist beautifully wrote, after all. If we cannot pray the whole of our lives from the fullness of our lives to the God who wants to redeem all of our life, how then do we live? And how do we learn to live well? Sure, we can give thanks and rejoice during those times that are truly, definitively happy. I’m not talking about that, though. What do we do in the face of evil, suffering? Following 9/11, a terrible event, we rallied as a nation, but we also rallied against a common enemy; namely, Osama bin Laden, Al Quaeda, and Islamic fundamentalism and terrorism. 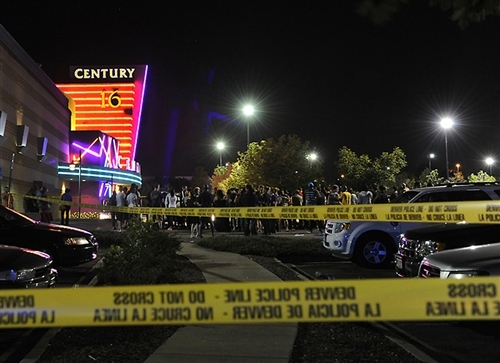 I’ve been thinking about that these past several days because it’s quite different from responding to and living with the events that happened this past Friday evening [Friday, July 20, 2012] in which innocent victims were gunned down at a midnight showing of a Batman movie in Aurora, Colorado? How do we live and strive to live well in a world in which the faces of evil are not villainous villains, such as Joker or the Riddler, but, instead, a 24-year-old man who is probably deranged and sick? How do we live well in a world in which people who go out for a late-night movie might not make it home, and for no reason but an expression of senseless, banal violence? How do we live, and strive to live well in that world? Pray it all, using words from time to time but other expressions, as well. Pray it all, the good and bad, the quiet and noisy, the frightening and peaceful. Pray it all, every last bit, to the God who redeems it all and wants very much to. Pray it openly, vulnerably, and without editorial comment so God will love it into holiness. Excerpts from a sermon preached at St. George’s Church on Sunday, 22 July 2012. The full text of the sermon can be found here.